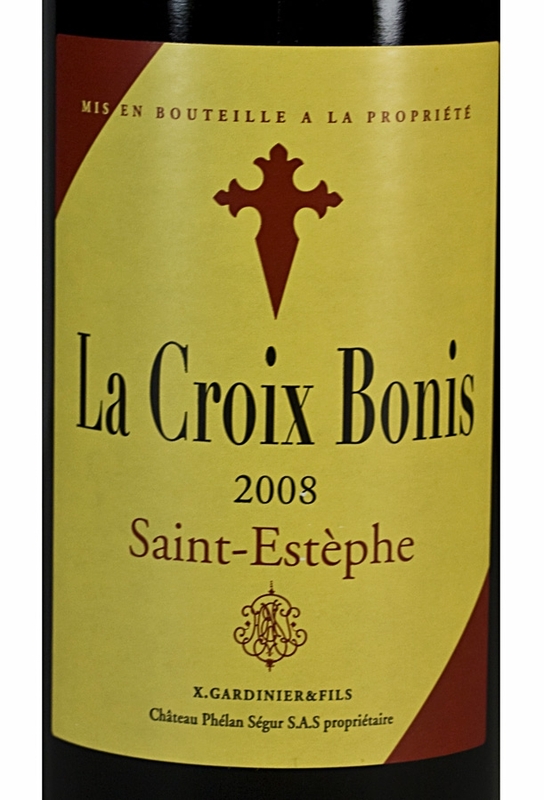 La Croix Bonis is the third wine of the famous Château Phélan-Ségur and comes from some of the best plots of land in St Estèphe. It is made from a blend of Cabernet Sauvignon and Merlot with the classic Bordeaux notes of cassis and cedar and a great structure and a dry finish. We accept all major credit and debit cards. 100% secure. La Croix Bonis is the third wine of the famous Château Phélan-Ségur and comes from some of the best plots of land in St Estèphe. The Gardinier family puts emphasis on the quality of their wines and the grapes for this wine are entirely handpicked and sorted to ensure only the best are used before the wine is aged for 12 months in oak barrels to produce a great wine true to the characteristics of St Estèphe. Firm and long-lived, this wine is made from young vines as well as some of the wine produced from their grand vin and is approachable while young. 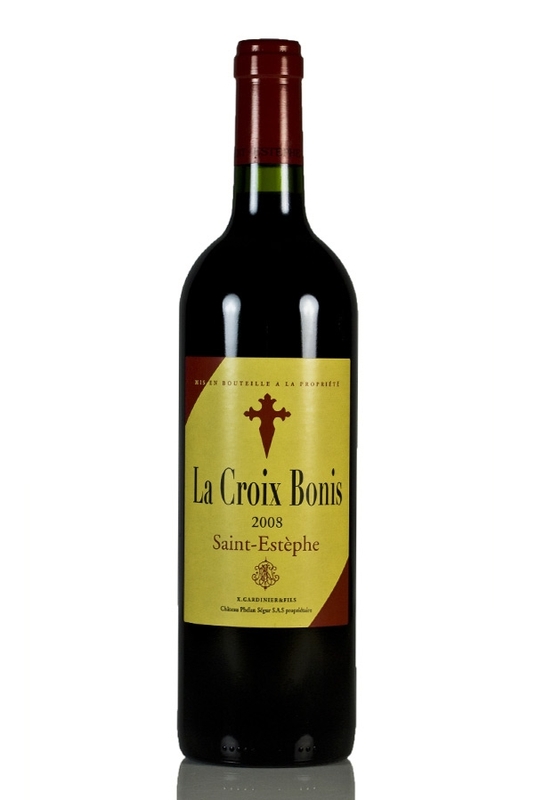 It is made from a blend of Cabernet Sauvignon and Merlot and carries the classic Bordeaux notes of cassis and cedar as well as a great structure and a dry finish, perfect for meaty meals, barbecues and game dishes. The Cardinal's Cellar delivers all products worldwide with the exception of the Republic of Ireland. Bottles are packaged in courier approved reinforced, protective cardboard boxes to ensure the wine arrives in the best possible condition. Place your order before 12pm to receive it the next working day! Next Working Day (Signed For) TNT Courier Delivery: £7.50 per order, FREE on orders over £115.00 (incl VAT). Saturday Courier Delivery: £35.00 per order. Please note: we do not ship to the Republic of Ireland. Delivery outside UK starts at £24.00. The shipping cost will vary depending on destination and amount of products purchased. To find out your exact shipping charge before checking out, please add all your required products to the cart and select your country at the "Find out your delivery charge" section on the Shopping Cart page and click "Submit" button. You will be then able to add the shipping cost to your order total to see the final total cost of your order. For more information visit our delivery page. We accept all major credit and debit cards, through our secure online payment system provided by Sage Pay. All payments are encrypted and 100% secure. Your credit card company may ask us to do a security check where necessary to prevent fraudulent payments. We also accept bank transfers, cheques and postal orders. All necessary information for payment completion will be provided during checkout and confirmed by e-mail.